After much drama, Kristaps Porzingis says he really does want to be a Knick for his entire career. Given everything that’s happened in the last year between the New York Knicks and star player Kristaps Porzingis, no one would blame him for wanting a fresh start someplace else. But, considering Phil Jackson is gone and cooler heads have prevailed, it sounds like the 22-year-old still sees New York as the place he belongs. Porzingis recently told Shaun Powell of NBA.com that he hopes he gets to spend his entire NBA career as a Knick. “So far it’s been tough in New York, but my journey is only beginning and I hope to stay there my whole career, so as a city we can have some fun and win some games and do something big,” he said. Those sentiments seemed impossible just a short time ago. Frustrated with the way then-GM Phil Jackson was handling Carmelo Anthony, Kristaps skipped out on his exit interview following the 2016-2017 finale. After the seven-footer sent a cryptic tweet involving the LA Clippers, Jackson started talking publicly about how trading his star-in-the-making was possible. 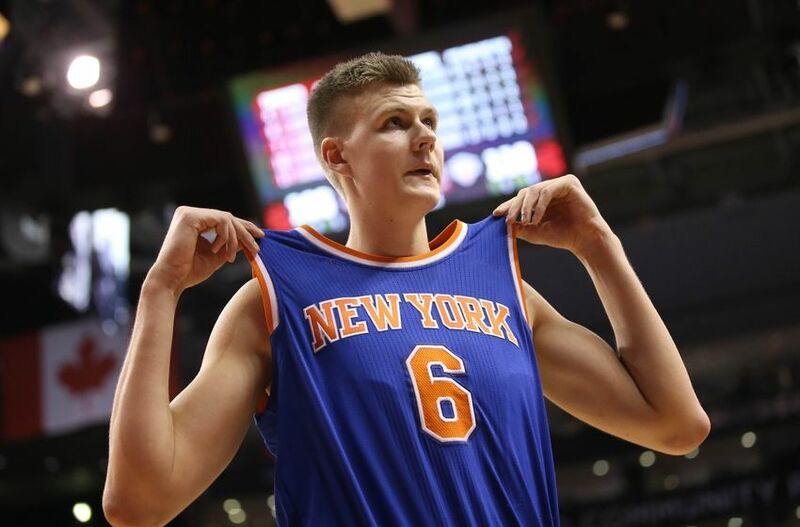 Jackson poured gasoline on the fire by then saying he hoped to trade Porzingis during or after the NBA Draft. Now, with a fresh perspective and new leadership, it sounds like Kristaps and the Knicks have a new lease on life. Knicks fans certainly hope that clarity of vision continues in the months and seasons to come.